ABILENE - Officials with the City of Abilene broke ground on the new $6 million Rose Park Aquatic Center. Construction workers will begin tearing out the old pool. 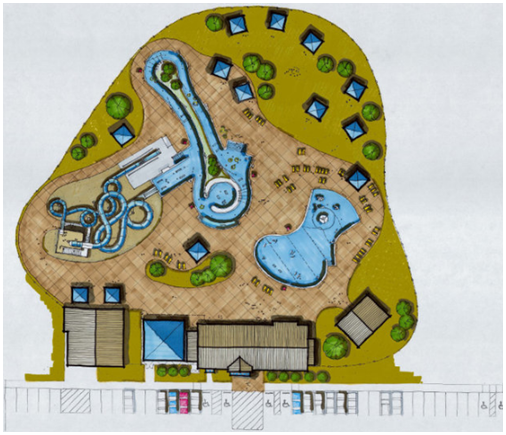 Work is expected to last until the end of May 2017 on the project that will include a leisure pool with a zero-depth beach entry, a lazy river, and water slides. The modern aquatic center also will have a new locker room and shower facilities, a full-service snack bar, and large shade structures available for rent for parties and events. Additionally, voters approved the construction of four splash pads in the bond election at a cost of $2.5 million. Workers are building a splash pad at both Scarborough and Stevenson parks, with a completion goal of the end of summer.